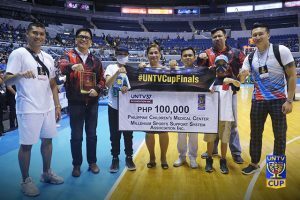 Defending champions Senate Defenders sustained their impressive showing in the continuing elimination rounds after routing the PITC Global Traders at the start of the quarterfinals of the UNTV Cup Season 7 at the Pasig City Sports Center on Sunday. 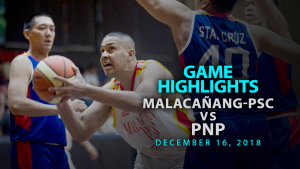 Senate defeated PITC, 65-59, after Best Players of the Game awardees Senator Joel Villanueva and Rommel Balboa led the Defenders to victory with their combined 33 points. “I wasn’t making my shots the first few quarters. Sabi nila sa akin basta good shot libre kesa mag-commit ng error. Take the shot, let it fly. So, nag-stick ako sa trust and confidence ng teammates ko. 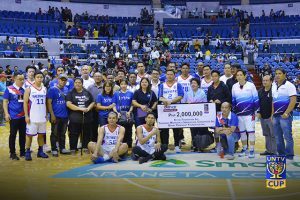 So, I made a few baskets, [and] most of all ang pinaka-importante, we were able to win the ball game,” Sen. Villanueva said. Senator Sonny Angara was not able to join the game due to a prior engagement but he still showed up to express support for his team. “Tuloy pa rin ang preparasyon. Wala ng mahinang team dito sa natitirang team. Lahat pwedeng mag-champion kung tutuusin kaya kita mo very close ang laro natin. So, kailangan talagang paghandaan ang lahat ng team,” Sen. Sonny Angara said. 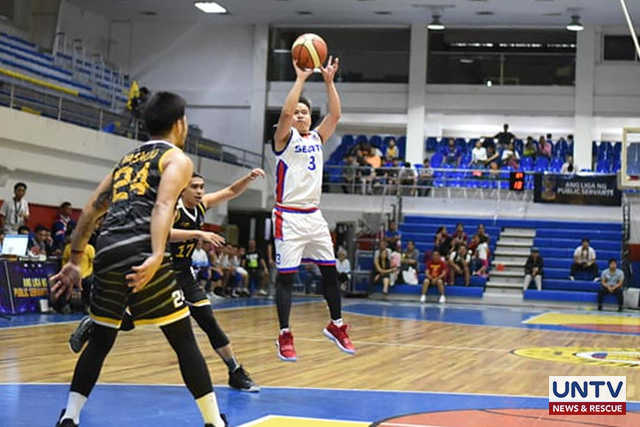 Senate head coach Mike Fermin said the Defenders improved their form after rookie PITC tried to upset them in the season’s opening game last September. 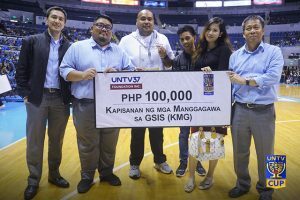 “So, coming to this game, usapan namin hindi na dapat maulit, sa dulo dikit. So buti pa nga medyo nandoon naman ang composure ng mga players. Sila Senator Joel saka Senator Sonny sila talaga nga ba-bond ng team,” Coach Mike Fermin said. PITC Head Coach Victor Ycasiano, meanwhile, expressed disappointment over the dismal performance of his team during the quarterfinal game. “Yung sa akin, yun lang ang pakiramdam ko we are not ready to play today’s game. We were not here to play to win, we’re just here to play,” Coach Victor Ycasiano said. 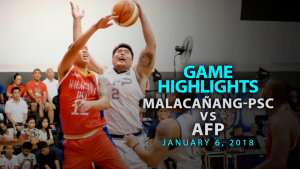 Also off to a winning start this round are the NHA Builders who managed to clobber the Malacañang-PSC Kamao, 78-72. Clark Torrente was hailed as Best Player of the Game for firing 14 points, four rebounds and one steal. “Sinabi ko lang na mag-focus saka yung intensity hanggang sa dulo lagi kami nagku-collapse sa huli eh. Minsan nag-oover confidence, minsan tinatamad, nawawalan ng gana. So, ang sabi ko lang ang pinaka-importante sa lahat yung dulo, hindi yung umpisa, so i-sustain lang yung laro mula umpisa hangang dulo. We have to start strong, finish strong,” Coach Bennett Palad said. “Sama rin ng laro ng ibang players ko, shooters ko di gumana. Pero proud pa rin ako sa boys ko kung ano yung pinakita nila ngayon,” Coach Raffy Gonzales said. 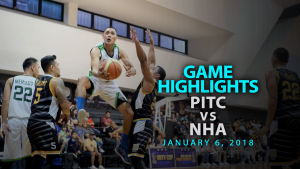 So far, NHA and PITC both hold five wins and five loses among the four teams battling in the quarterfinals. Senate leads the list with 7-3 win-loss record followed by Malacañang-PSC with six-four record. The teams will play three games each in the round robin for the quarter finals.